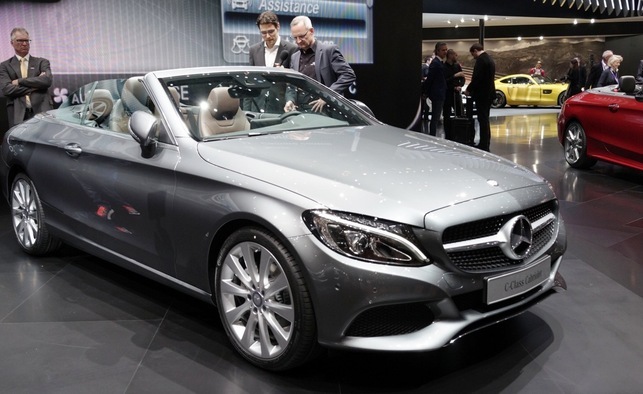 The Mercedes-Benz C-Class Cabriolet has been revealed at 2016 Geneva motor Show. 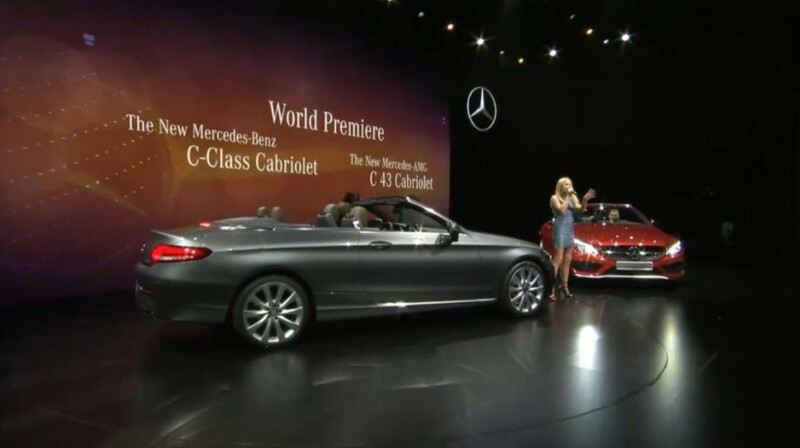 Sharing the same transmission option, this new convertible will be available with two petrol engine options that are labelled as basic C300 Cabriolet and C43 Cabriolet. This drop-top comes added with an automotive folding soft roof that can perform the complete process of elevated and downhill in just 20 seconds, while the top speed reaches up to 50 km/h. Besides the roof will also be available in four different colors. Talking about the base model, it gets a 2.0-litre turbocharged petrol mill that is tuned to belt out 241 Bhp of power and 370 Nm of torque and sprint from 0-60 mph in 6.3 seconds. It is likely to be offered in both rear wheel and all wheel drive option. On the other hand, C43 will be available with automatic gearbox option. The specification of this variant includes a 3.0-litre V6 petrol mill that churns out 326 Bhp of power and 520 Nm of torque. With having this mechanism, it can do 0-60 mph under 4.7 seconds and can make a top speed of 155 mph. It will be paired with the only AWD. 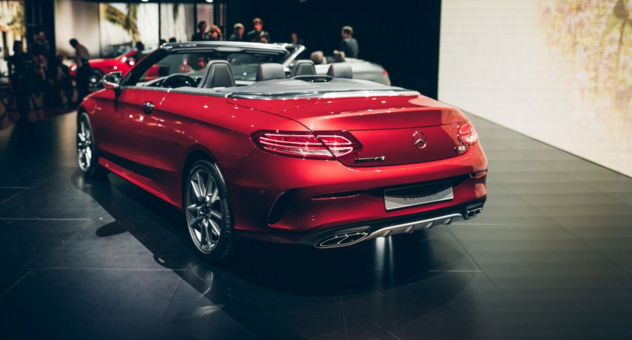 The other exciting features are not clear yet, it could be attached to some signature feature of C-Class family as well as some new advanced function is also expected to come mated with this 2016 Mercedes-Benz C-Class Cabriolet. It is expected that the first edition car will be placed in the global market later this year, while it might arrive in the Indian car market by early next year.